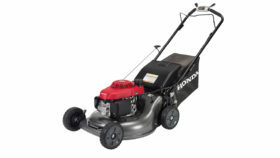 Honda HRR216K10PKA lawn mower – Get a perfect cut every time with Honda’s exclusive twin blade MicroCut System® that result in ultra fine clippings for superior mulching and more clippings per bag. The 3 in 1 system allows you to switch from mulching to bagging or discharge with just one touch. 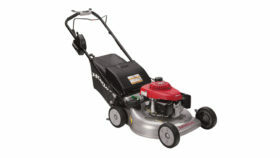 The mower has a fuel efficient, powerful easy starting Honda GCV160 engine that is reliable. No engine choke required! Just start the mower and go! Easy Fold Quick Release handle for easy height adjustment and storage.